As technology becomes ever more advanced, the ways in which we are able to communicate with each other constantly change. In Florida, child custody laws have begun to reflect these changes. For instance, Florida is one of the few states to pass legislation that allows family law courts to order virtual visitation, in which children can interact with their parents via webcam or cell phone. This method has proven effective in allowing children to remain connected to both of their parents, regardless of location, so if you are concerned about the amount of time you are able to spend with your child because you live in a different state or because you and your ex-spouse have conflicting schedules, you should speak with an experienced Fort Lauderdale timesharing attorney who can help you explore alternate visitation options. Promoting uncensored visits between parents and their children. Virtual visitation, or internet visitation, is not intended to replace face-to-face visitation between non-custodial parents and their children. In fact, Florida law specifically states that virtual visitation cannot be used to replace face to face contact. However, it can be an important tool in allowing parents to maintain a relationship with their children over a long distance and is especially crucial in cases where a custodial parent is forced to relocate due to a job opportunity or remarriage. Any other factors that they deem material. Abide by the specific virtual visitation schedule created by the court. 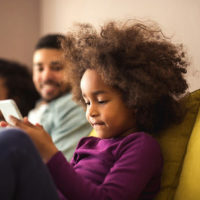 Once a court has ordered virtual visitation, each parent is required to provide the other with the access information necessary to facilitate communication. Parents are also required to notify each other of any changes to this information within seven days. Please call Sandra Bonfiglio, P.A. at 954-945-7591 to speak with an experienced and compassionate family law attorney about your own timesharing-related questions and concerns. Our Florida legal team is eager to assist you today.